Obama's victory and Democrats' retention of the Senate ensure that the healthcare law survives and moves forward in implementation. Yet, serious challenges remain. November 6 was a big night for President Barack Obama, giving him a decisive win for a second term. The evening brought wins to scores of House and Senate candidates and to state initiatives, including the legalization of gay marriage in Maryland, Maine, and Washington. Another big winner that night was the Affordable Care Act. Former Massachusetts Gov. Mitt Romney had pledged to repeal the law and let states go forward with their own reforms. Dismantling a law as complex as the ACA would have been daunting in a legislative sense and challenging politically with many popular provisions. The industry, with providers and insurers moving forward with ACA, would have been thrown into chaos. Obama's victory and Democrats' retention of the Senate ensure that the healthcare law survives and moves forward in implementation. Yet, serious challenges remain. The Obama administration will have to protect the law from budget cuts in the negotiations with Republicans on the debt issue. Since the US Supreme Court decision on the healthcare law allows states to opt out of Medicaid expansion, the administration is challenged to get “red states” to take federal funding to extend Medicaid coverage. Medicaid expansion is a major pillar of the ACA, and without states accepting this funding, there is a serious hole in coverage for the uninsured. However, the most imminent challenge is developing the state exchanges – the marketplace of the healthcare law that will provide millions of consumers with a choice of insurance plans. States were given a deadline of November 16 to announce whether they intend to operate their own exchanges, cede control to the federal government, or engage in a hybrid partnership. In a recognition that many states are behind with the exchanges, the administration extended that deadline to December 14 to submit their plans and February 15 if they plan to partner with the federal government. To date, a minority of states and the District of Columbia have officially said they will set up exchanges. Other Republican governors have held off giving an answer, first in anticipation of a Supreme Court ruling and then the results of the election. The finality of the election will be a spur to states that have held back in setting up exchanges. After the Supreme Court decision upholding the law, the only barrier left to its implementation was the possible defeat of Obama. States opposing the law were resisting setting up the insurance exchanges in hopes that the law would be repealed under a new administration. Now that the fate of ACA is clear, states are scrambling to catch up with the timeline of implementation. States lagging behind in setting up exchanges will now have to accelerate their development or be faced with the federal government intervening. Plans must be underway by January 2013 or the federal government will step in to develop the exchanges. Enrollment for the exchanges is slated to begin in October 2013, with January 2014 as “D-Day” for the exchanges to be up and running. With the exchanges activated, 13 million Americans will have access to a range of affordable health plans, the central promise of ACA. The long-sought goal of achieving universal healthcare is close at hand. It is a journey that has been fraught with political and legal challenges and shifts in public opinion. Support for the law since its passage in 2010 has consistently been a split, with 50% of Americans opposing the law and 50% supporting it. The election season did see evidence that support for the law is growing. Even candidates who opposed ACA vowed to keep some of its more popular provisions, such as young people staying on their parents' insurance plans until they are 26 years old. Election exit polling showed that only one-fourth of voters wanted outright repeal of the law. With the last barrier removed, Americans will finally have access to healthcare as a right of citizenship. It is a right enjoyed by every other industrialized nation. No longer will people be dropped from their insurance because they have a pre-existing condition or because they have reached a cap on their coverage. Healthcare bankruptcies, the No. 1 cause of personal bankruptcies, will be a thing of the past. Most importantly, thousands of lives will be saved. A Harvard University public health study found that 46,000 lives are lost every year because people lack access to healthcare. The toll of the uninsured in this country has been enormous, both in human and financial terms. That is why the real winners of this election are the American people who will finally have the benefits of universal healthcare. 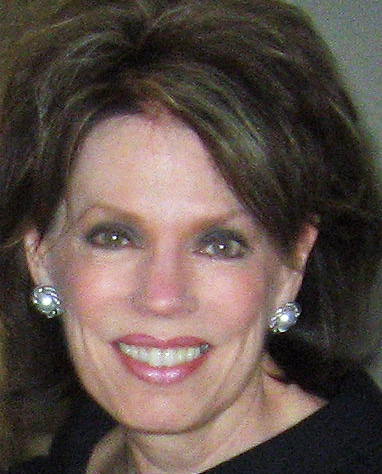 Nancy Hicks is SVP and associate director of Ketchum's North American healthcare practice.